A concentrated cream that is unsurpassed in its ability to clean, polish, deoxidizes and protect. This product works faster and easier. This can be used on: brass, copper, silver plate, sterling silver, chrome, stainless steel, nickel, bronze, solid gold, aluminum, anodized aluminum, beryllium, magnesium, platinum, pewter, factory hot gun bluing, painted surfaces, formica, cultured marble, corian, glass, plexiglas, plastics, fiberglass, eisenglass, and armatel. 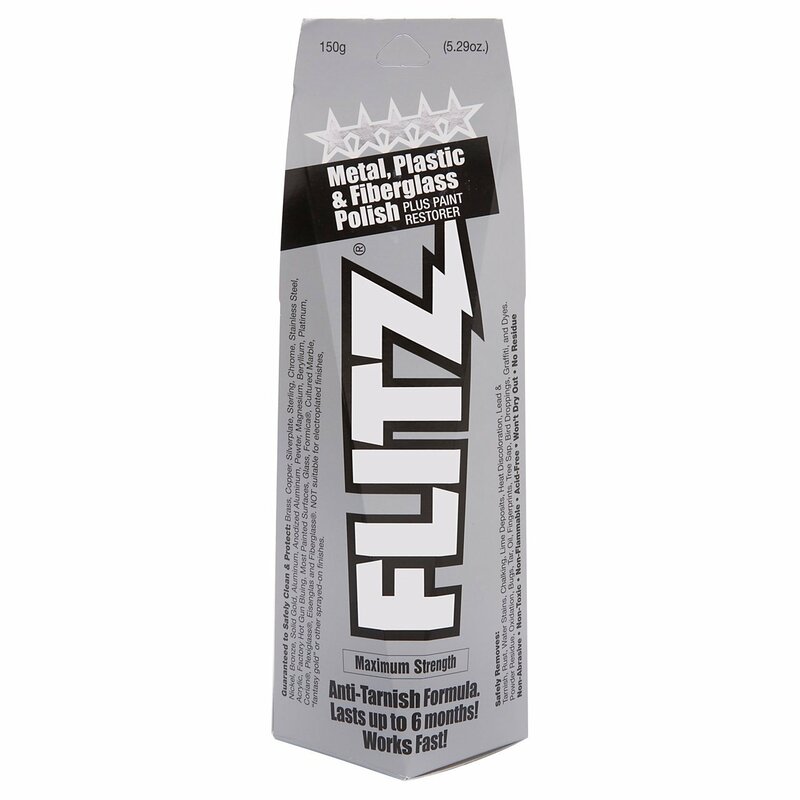 This helps to remove tarnish, rust, water stains, chalking, lime deposits, heat discoloration, lead and powder residue, oxidation, bugs, tar, oil, fingerprints, tree sap, bird droppings, graffiti, dyes, black streaks and scuff marks. This is USDA authorized and non-toxic.